Cyna Rodriguez earned her LPGA Tour card with a fourth place finish in the qualifier. 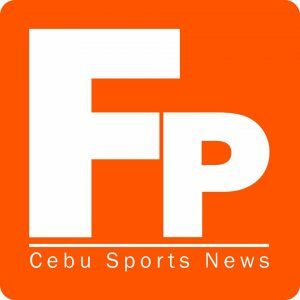 Cyna Rodriguez became the first Filipina to break into the LPGA Tour in 15 years, turning in a strong joint fourth place finish in the Final LPGA Qualifying School at the LPGA International Hills Course in Florida Sunday. 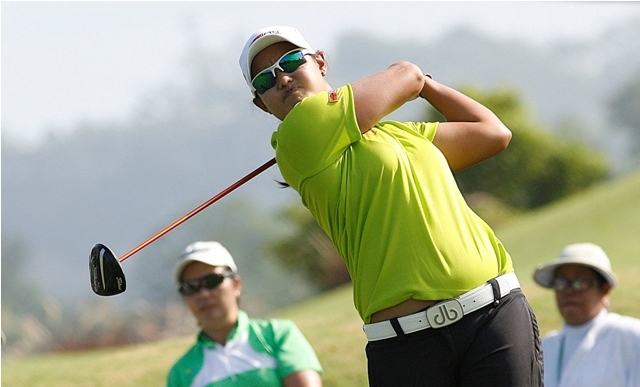 Rodriguez actually made it to the world’s premier ladies pro circuit on her very first try when she fired a bogey-free 67 in the penultimate round of the five-day elims, virtually securing her place in the Top 20 for automatic berths in next year’s tour. She actually moved to solo third late in the final round with a two-under card but bogeyed No. 17 and settled for a 71 and a 350 total for a share of fourth with Canadian Maude-Aimee LeBlanc, who also finished with a 71. “It’s a dream come true and I’d like to thank those who supported me and believed that I can pull it off someday,” said the 24-year-old Rodriguez, a former Philippine Ladies Open champion who also racked up a number of amateur titles here and abroad. She cited ICTSI chairman and president Ricky Razon and Philippine Golf Tour executive director Narlene Soriano, who backed her local and foreign campaigns during her amateur days under the ICTSI golf program and put up the ICTSI Ladies Philippine Golf Tour to develop the skills and talent of the country’s golfing ladies. “It is in the LPGT where I toughened up and gained confidence that I can compete against the best,” said Rodriguez, who dominated the first three editions of the LPGT, winning half of the eight tournaments in 2014 and sweeping the Order of Merit titles. The former South Australian champion also thanked her parents Cherry and Eli for their all-out support and coach Bong Lopez of Team The Country Club, who drew up the program in 2006 to produce world class players. “Thank you coach for everything you’ve done for me. You helped make my dream come true,” said Rodriguez in a text message to Lopez, who is in Singapore to oversee the campaign of the TCC players, headed by former US Girls’ Junior champion Princess Superal, the next player groomed to make it to the big league. “We were actually hoping Dottie (Ardina) would also make it but she had a bad week, particularly in the fourth round. But I believe it’s only be a matter of time before she joins Cyna and J-Ro in the LPGA,” said Lopez. Rodriguez’s joint fourth place feat also bested Jennifer Rosales’ joint seventh place effort in the 1999 LPGA Q-School with the latter, also handled by Lopez, joining the LPGA in 2000 and winning in 2004 and 2005. After a dominant campaign in the LPGT, Rodriguez vied in the LPGA Q-School Stage I and wound up joint 17th but barely made the 80-player cut in Stage 2 by limping to 71st. But she strung up a pair of 71s in the Final Stage then followed it up with a 70 before turning in a career-defining 67 in the fourth round. Chinese Simin Feng completed her wire-to-wire romp to clinch the low medal honors, finishing with a third straight 69 for a 342 total, seven shots ahead of runner-up Grace Na of the US and Thai Budsabakom Sukapan, who had a 349 also after a 69. Fifteen others gained full membership for next year’s LPGA Tour, including Tiger Woods’ niece Cheyenne Woods, who tied for 13th at 354 after a 69, while Thai Benyapa Niphatsophon and Jing Yan, also of China, took the last two spots at 356 after a 69 and 75, respectively. Twenty-nine others gained conditional status for finishing at 21st to 45th and ties but Ardina failed to recover from poor start at the back and hobbled with an 81 for a 371 and fell way behind the cut at 362.